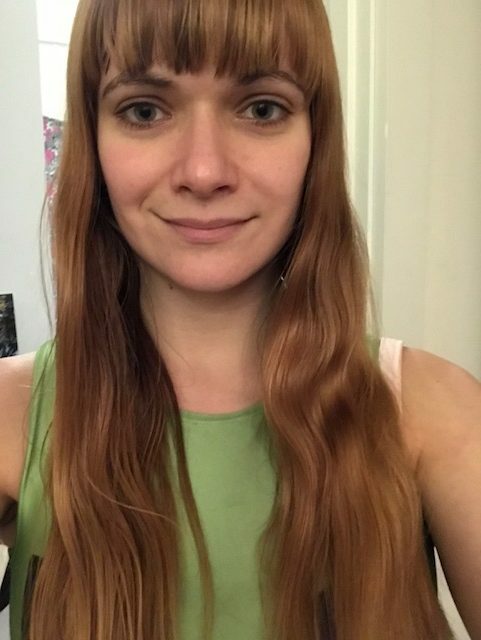 There are few leisurely activities I enjoy, but my favorite thing to do is to pull back my bangs, brew a hot cup of tea, and slap on a nice sheet mask. 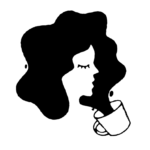 It’s such an easy and affordable way to treat myself to a little rest and relaxation. To be honest, my skin always feels more dewy and swan-like afterward, so it’s a win-win. While I feel like it’s hard to go wrong with sheet masks, I’m always overjoyed when I come across a new brand or formula. It’s kind of like finding a new ice cream flavor. 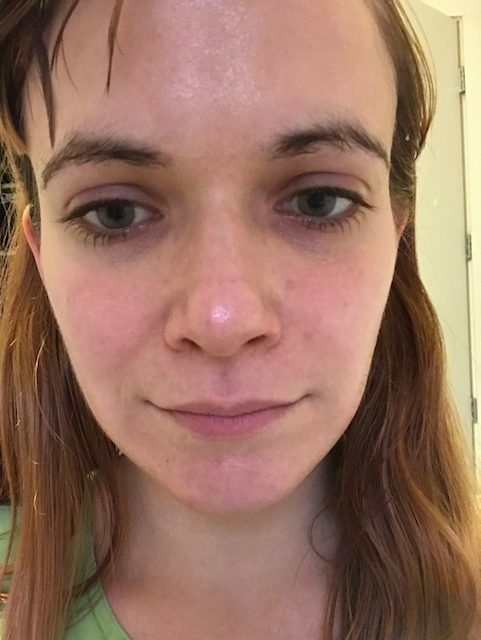 Given my mild (and completely healthy) obsession, I was thrilled to try Vitabrid’s Dual Mask ($8). For those unfamiliar with the K-beauty brand, Vitabrid is all about harnessing the benefits of vitamin C — for everything from hair and scalp health to skin care. So naturally, when I was asked to sample the brand’s new mask, I said YES, PLEASE. You can grab a single mask for $8 or a 5-pack for $35, so you can choose what best suits your skin care needs. For my fellow beauty lovers, I decided to document my experience with this mask. You can get the 411 straight from the horse’s mouth. As you can see, I don’t have makeup on here, and I have some redness. My skin is a super fun mix of dry and red in the winter, so my hope was to have this mask give my skin some much-needed moisture. I realize that in this photo I tried WAY TOO HARD to smile for you in a genuine way, but trust me, I was having a good day. 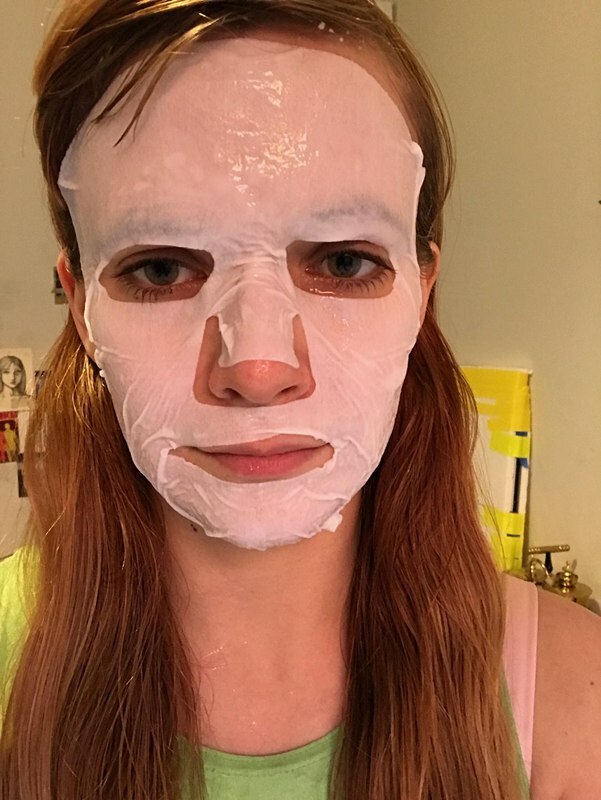 As with all sheet masks, this bad boy has face holes, so you can transform yourself into a beauty version of Jason from Friday the 13th. The formula in this mask feels extra slick but in a cold, nice way. It’s formulated with vitamin C and peptides to encourage moisture retention, increased collagen production, and firm red carpet-ready skin. When I put this mask on, it felt refreshingly cool and soothing, like a chilly moisture-infused blanket on my face. The sensation of this mask was a lot heavier than the sheet masks I’ve tried in the past. It felt like my skin was getting quenched with a cool night cream. I wanted to keep it on much longer than the recommended 10-15 minutes. WOW, who is she?! 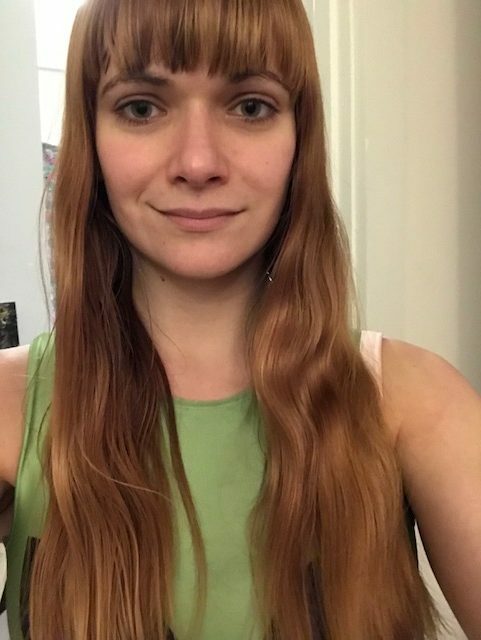 Jokes aside, my skin didn’t magically transform into a poreless liquid canvas; however, it genuinely looked radiant. There’s enough formula in the mask that you can let it absorb into your skin for the rest of the day — and I made sure to rub the remaining formula on my face and neck. Most sheet masks I’ve tried feel slimy or flimsy upon removal, but this mask still felt fresh and full of moisture. I definitely believe this mask works better than your run-of-the-mill CVS sheet mask (no shade). I’ve already used this mask a second time since my first documentation. I think that speaks for itself. 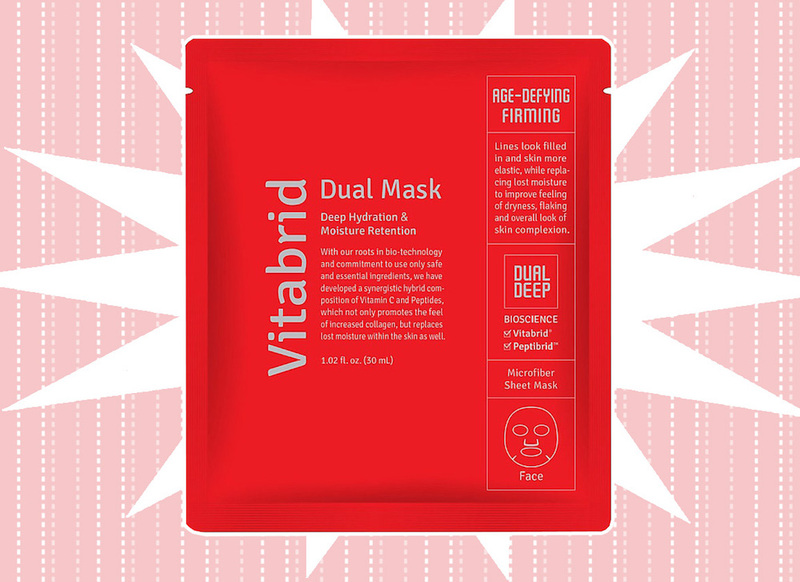 If you’re on the prowl for another high-quality sheet mask for your rotation, I definitely recommend for the Vitabrid Dual Mask.